Goalkeeper: There is no debate over who will start in goal for United as David De Gea is one of the first names on the team-sheet and is certain to keep his place between the sticks against Arsenal. Defence: Man Utd have been boosted with the news that Eric Bailly is fit despite picking up a knock during the dramatic win over Paris Saint-Germain in midweek but the Ivorian is expected to drop to the bench after struggling in an unfamiliar right-back position on Wednesday night. Ashley Young could therefore drop back into defence following a stint further forward with Solskjaer opting for his experience over the youthful exuberance of Diogo Dalot. Luke Shaw has cemented his position in the United first team so he should once again start at left-back. Chris Smalling is expected to continue alongside Victor Lindelof at the heart of the Man Utd defence but Matteo Darmian, Phil Jones and Antonio Valencia remain unavailable for selection. Midfield: Solskjaer has been handed a major double injury boost in midfield as Nemanja Matic and Ander Herrera are expected to be available for selection as long as they come through the last training session unscathed. 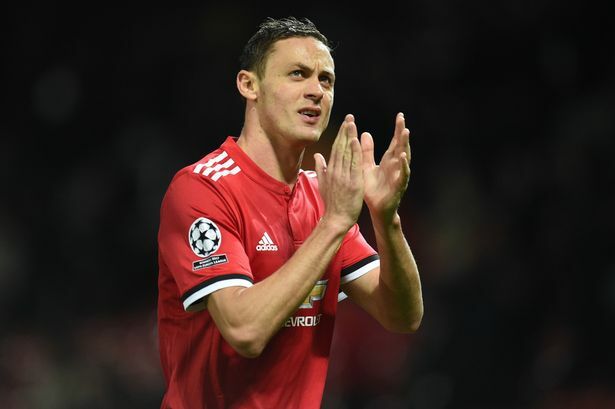 Matic has been out with a muscle injury while Herrera picked up a hamstring problem against Liverpool last month but the midfield duo are set to return to the squad against Arsenal on Sunday afternoon. Paul Pogba is also set to return to the side after being suspended for the win at PSG in midweek so the likes of Scott McTominay, Andreas Pereira and Fred are likely to make way despite their heroics at the Parc des Princes. Attack: Man Utd’s options in attack will be boosted by the return to fitness of Anthony Martial with the French international set to return against Arsenal after missing the last five matches in all competitions with a groin injury. Martial could come straight back in to the side on the left wing with Alexis Sanchez ruled out for at least a month with a knee injury that he picked up during the win over Southampton last weekend. Romelu Lukaku is expected to keep his place up front after scoring another brace against PSG which took his tally to six goals in his last three games so he’s certainly in a rich vein of form right now. Marcus Rashford will complete the attack with the youngster in buoyant mood after scoring the stoppage time penalty that secured a stunning comeback win over PSG in the Champions League. However, Jesse Lingard remains out with a hamstring injury while Juan Mata is also set to miss the trip to Arsenal on Sunday with his own muscle problem.